EL VIERNES 1 DE MAYO ESTAREMOS EN EL DISCO DANCEFLOOR DEJAVU DE CALPE PARA PRESENTAROS A TODOS LA 6ª JORNADA SALSERA. 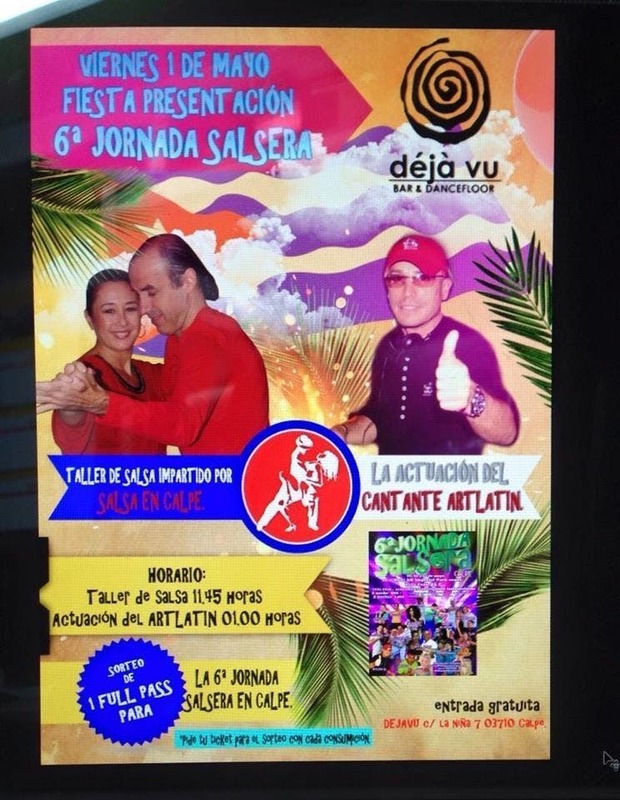 SE IMPARTIRA UN TALLER DE SALSA Y RUEDA A CARGO DE SALSA EN CALPE Y TENDREMOS EL LUJO DE CONTAR CON LA ACTUACIÓN DEL CANTANTE CUBANO ARLATIN QUE NOS PONDRA A BAILAR A TODOS CON SU VOZ EN DIRECTO. HAREMOS UNA PEQUEÑA PRESENTACIÓN DE LOS PROFESORES DE LA 6ª JORNADA SALSERA Y SORTEAREMOS UN FULL PASS ENTRE LOS ASISTENTES, NO OLVIDES PEDIR TU TIKECT DEL SORTEO CON CADA CONSUMICIÓN. ANIMACIONES, RUEDAS Y MUCHA MUSICA PARA NO PARAR DE BAILAR. ACTUACIÓN DE ARLATIN 01.00 HORAS. OS ESPERAMOS A TODOS EN DEJAVU, C/ LA NIÑA 7 CALPE.